Ultimate Toolbox classes that deal with Binary Difference, Search and Replace, Compression, and more. 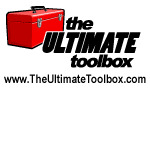 Visit the Ultimate Toolbox main page for an overview and configuration guide to the Ultimate Toolbox library. The Ultimate Toolbox contains some useful utilities for file encryption and compression, comparison, search and replace and more. The COXBinDiffCalculator, COXDiffFileHeader, and COXDiffProgress classes combine to encapsulate binary differences and are able to compute the differences between two versions of a file. Imagine that you have an original file and an updated file. Using the COXBinDiffCalculator, you can see what has changed between the original and the updated version. This difference can then be written to a third file. Later on you can reproduce the updated version using the original and the difference file. Difference = Update - Original and Update = Original + Difference. This can be useful if you want to send an updated file version to other people. You don't have to send them the entire new file, just the differences. These can then be applied to the original file which results in a fully updated version. Normally the difference file is much smaller then the entire updated file. You can supply path specifications directly to create the difference or updated file. Another possibility would be to create three CFile derived objects, open them and let the COXBinDiffCalculator object use them. This creates the possibility of using other CFile based classes - CMemFile, COXCryptFile or your own. If you want to use the class only to AddFiles you can #define BDEXTR as 1, which will make the class more compact. See the compiled HTML help for complete class references for these. COXCompressedFile, COXCompressor, COXCryptFile, COXMDCCryptor, and COXConvertedFile provide various forms of file compression and encryption. Setting the file size via SetLength. Locking and unlocking a byte range via LockRange and UnlockRange. Flushing a file via Flush. In each of these cases, the COXCompressedFile class will throw a CNotSupportedException MFC exception object. The COXCompressor class encapsulates an enhanced version of the Lempel Ziv 77 compression algorithm. It is based on the code supplied by Mark Nelson in his book The Data Compression Book, (M&T Publishing 1992). This algorithm is based on a sliding window dictionary-based compression scheme. Each of these functions takes a pointer to input data identified by pInBuffer and writes the compressed (if calling Compress) or uncompressed (if calling Expand) data to the output buffer pOutBuffer. COXCryptFile is derived from the COXConvertedFile which in turn extends the MFCs CFile class to facilitate block encryption and decryption operations on a file. COXCryptFile layers a COXMDCCryptor to provide MD5 block encryption for files. See the File Management | Compression and Encryption section of compiled HTML help for more on these classes and their usage. Note: In versions previous to 9.0 of the Ultimate Toolbox library COXMDCCryptor and COXCryptFile did not ship with the main installation files of Ultimate Toolbox. They were available to users within North America only, in compliance with certain U.S. export restrictions concerning encryption algorithms. The File Watcher sample in action. COXFileWatcher and COXFileWatchNotifier organize file change notifications in a number of directories supplied by the user. See the File Watcher article for more on this class and its usage. The COXFileChanger class facilitates search and replace of a files contents. The samples\utility\FileChanger example project in action. COXURL, COXUNC, COXUNCStandardActor, and COXIteratorUNC. Visit the URL article for more on this class and its usage. The COXUUDecoder class performs decoding of Unix to Unix encoded files. Unix to Unix encoding arose from the need to transfer binary data through 7 bit ASCII text protocols, and survives as one encoding scheme available for MIME encoded email and news messages. The code above examines whether the file c:\temp\msg.uue is a uuencoded file or not. If it is a uuencoded file, it tries to decode it and save the file(s) with the filename(s) it finds in the uuencoded file and place the saved file(s) in the directory c:\uudecoded as specified by the user. If the uuencoded file is a multiple part file, it will decode and save all parts with their stored names in the directory c:\uudecoded. After the UUDecode function is complete, you can examine the CStringArray to find out which files were saved and where they were saved. To give the part(s) of a (multiple part) uuencoded file, other filenames than the ones stored in the uuencoded file, you must set the strings(paths) in the CStringArray before you pass it to the uudecode function. See the compiled HTML help documentation for more on the COXUUDecoder class. Initial CodeProject release August 2007. Where does one get COXCryptFile? I'm in North America, but don't know who to ask for it. Hi, first I'm really thank you for ultimate toolbox developers. I already well know about ultimate toolbox but now it goes open source. I think it's be a hard decision. very good job. Anyway , I got some problem of using oxFileChanger Class. I use your sample as replace , all , using binary files. but it meets some violation error. - Unknown error occured when accessing filename.. - where filename is what I typed for destination file. but it works well with debug mode . just executing files compiled in debug mode also OK. I have no idea what's wrong. but I think you get some report or updated files may exist. plz let me know how to solve this problem. I tried with this class source but when start writing destination file , error occurs. plz.. plz let me know... thank you. Just had a quick look at the sample. Yes, there is a stack overrun (or what looks like one) in the Run function of the file changer class when the Maximize Speed(O2) compiler optimization option is used. I have seen something like this occur in VC6 projects that have been converted to VS2005. It can be worked around by changing the project properties - Configuration properties | General - Whole Program Optimization from "No Whole Program Optimization" to "Use Link Time Code Generation". But it sounds like you are getting a different error in your application. Do you receive the same error in Unicode and non-Unicode builds? Also, what compiler and OS are you using, and how large is the file being accessed? Thank you for your quick reply !!! 2. I do not use UniCode, Just Win32 (MFC) Debug and Release. 3. Debug version of exe works well, but Release always make error. Anyway I will try the option as you said, and I will write this board the result. Thank you..
Ah - well, I was testing with VS2005 - you won't find the Whole Program Optimization option in VC6. Odd though - I just tested the release builds under VC6 and don't see the crash. Where is the source/ header file of COXBinDiffCalculator class? What I am missing? I could not find it in UltimateToolbox93_src.zip file. You'll find BDIFCALC.cpp and .h in the archive source and include directories, along with the OXDFlHdr and PROGRESS cpp and h files. I don't think there is a sample for these, and they may have been archived before the core source was updated for 2005 compilation. Ive found it. In UltimateToolbox93_samples.zip file. Thanks.